GSA EMail Spider was designed to collect and compile emails, phone and fax numbers from the Internet from the keywords you enter for. It has a simple user interface, and it is very easy to use. It is an affordable mailing list management software that allows you to send out high volume, highly personalized text or HTML email messages with unlimited attachments. 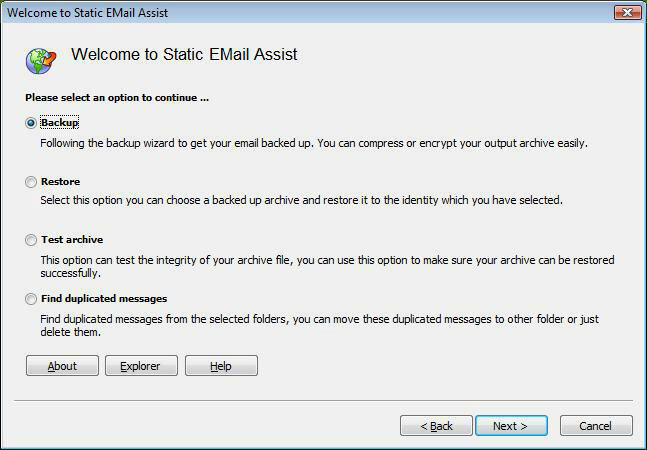 A powerful email backup software and email tool which can backup, restore your email, important data from Outlook Express, Windows Mail. 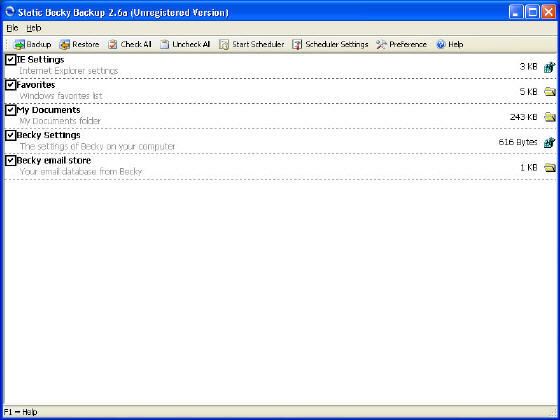 A powerful backup tool which can backup all your emails, Becky messages and settings into an archive file.